Although it can be argued that Hollywood has been at times a negative influence regarding women’s health issues (body image and weight, anyone? ), the movie industry has also played an important role in bringing some other uncomfortable-to-talk-about health issues to light . Movies with topics that people were once afraid to talk about such as cancer, mental disorders or women with HIV/AIDS have paved the way for a more open dialogue, or simply exposing these types of stories to the masses. Arguably one of the biggest tearjerkers, we figured we would start out this list with a heavy-hitter. 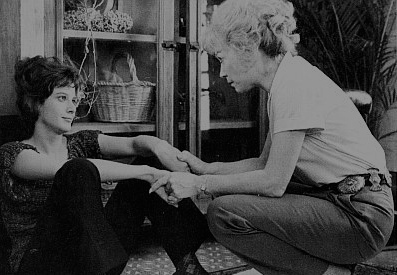 A raw and authentic look at family dynamics, relationships and illness, Terms of Endearment is a classic. In addition to bringing a different type of story about breast cancer to the table, Terms of Endearment made the important reminder that breast cancer does not discriminate against younger women. 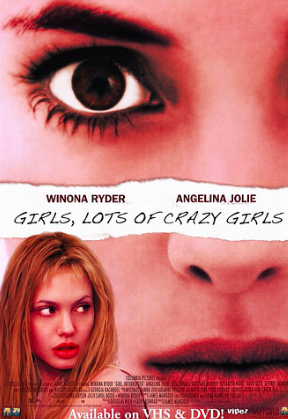 Although this movie took an extreme look in to the world of women battling various mental illnesses, this movie without-a-doubt got people taking notice. Girl, Interrupted examines depression, suicide, personality disorders, eating disorders and narcissism, just to name a few issues, and received critical acclaim for the acting and storyline. By putting the characters in one central setting, viewers can see the characteristics of each woman’s affliction and how it affects their relationship with others and themselves. A classic, sad love story by Nicholas Sparks, A Walk to Remember was one of the first blockbuster coming-of-age movies regarding terminal illness, long before The Fault in Our Stars. Unlike The Fault in Our Stars, A Walk to Remember didn’t receive much love from critics, but was well received by young adult audiences. A Walk To Remember explores traditional adolescence issues such as love, popularity and growing up, but with the addition of a progressively worsening case of leukemia that leads to death. 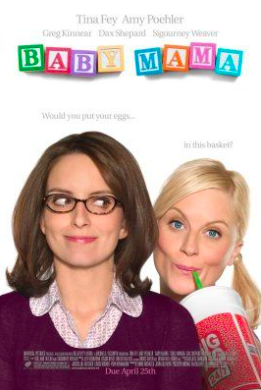 With very few movies addressing the issue of infertility, leave it to Tina Fey and Amy Poehler to create a story that involves a story regarding a woman who longs for a family, but isn’t married and is reaching her forties, and is also suffering from fertility issues. Although the movie’s plot line is a bit far reaching, this movie has a good balance of humor and emotion while introducing an unconventional tale about the road to pregnancy and the pain that can result from troubles to conceive. Chances are even if you haven’t seen this movie you can still recall the iconic scene of Faye Dunaway (as Joan Crawford) looking murderous and screaming about wire hangers. 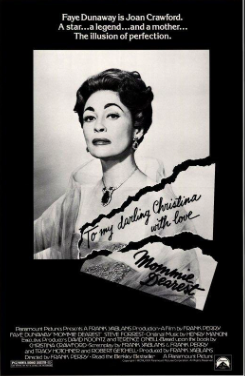 The fact that Mommie Dearest was based on a true story with illustrative scenes of mental issues such as obsessive compulsive disorder, rage, abuse and addiction, made the movie a cult classic. It’s fair to say that many of the scenes we’re dramatically portrayed, the issues Joan Crawford faced and the effects it had on her family life were accurate. As one of the first famous women to die of AIDS, Gia Carangi’s story was unique not just because of the emergence of the HIV/AIDS epidemic, but because she didn’t fit the stereotypical bill of someone suffering from AIDS. Marked as one of the first supermodels, Carangi contracted HIV from a needle containing infected blood (she battled heroin addiction) and died from AIDS-related complications in 1986 at the age of 26. 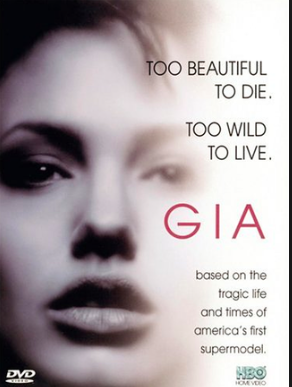 The TV movie starred Angelina Jolie, who won a Golden Globe and SAG award for her performance as Gia. 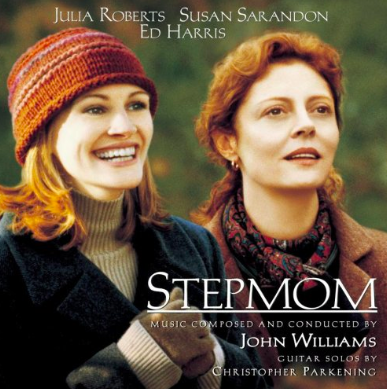 Similar to the themes involved in Terms of Endearment, such as strained family relationships and terminal illness, Stepmom takes a different turn. Initially the movie focuses on the new family dynamic that emerges once the man in a divorced couple moves in with his new girlfriend. The mother, played by Susan Sarandon, struggles with the new presence of her ex-husband’s girlfriend in both her life and her children’s. Eventually the mother is diagnosed with terminal lymphoma and she must come to terms with the fact that this new woman will be the mother-figure in her children’s lives when she is gone. Over the course of the movie anger and resentment develops in to love and acceptance in the face of illness. 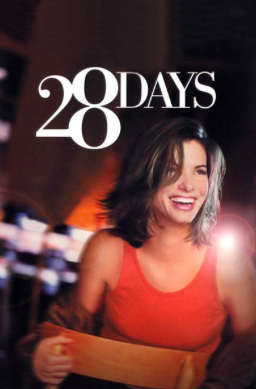 Centering around the topic of alcoholism, prescription pill addiction and denial, 28 Days follows the story of Gwen Cummings, played by Sandra Bullock, as she lands herself in a 28-day in-patient rehab facility in lieu of jail time. The film is said to take a lighter approach to rehab than what is a realistic portrayal, it did give a full view of the progression of addiction from getting there to going back in to the real world, where toxic influences through relationships and peers still exist. These movies aren’t the only ones that tackled story lines with women facing difficult health issues. What are some other films that made you question your beliefs toward a topic, triggered an emotional response, or made you aware of a health issue you previously had no knowledge of? Based in Washington, D.C., Elle Michels is a contributing writer to Womenshealth.com. Good News – Every Bit Counts When it Comes To Exercise! Welcome to Women’s Health, the leading resource for women’s health news, inspiring tips, advice and reliable information. Turmeric: Miracle Spice or Herbal Myth? Watching your weight? Watch What You Leave On Your Countertop.